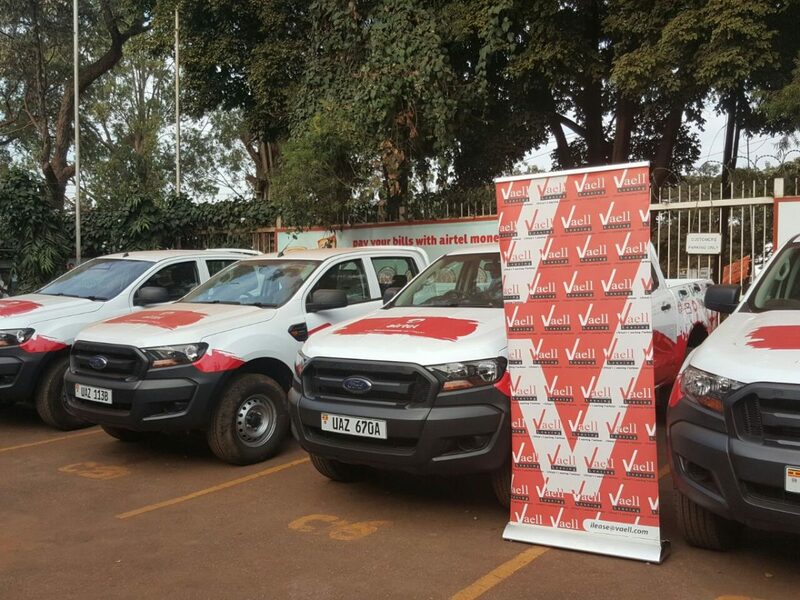 East Africa’s Leasing Market leader, Vehicle and Equipment Leasing Limited (VAELL) has leased 43 Ford Rangers units to Airtel Uganda. The lease arrangement is a reflection of a strategy that focuses on growing the voice mass market offering and solidifying the business’ mobile and corporate data position in the market and the overall growth of Airtel market scope. The lease will run for a period of 48 months. Speaking while receiving the last batch of the 43 Ford Rangers double cabin pick-ups units, Anwar Soussa– Airtel Uganda’s Managing Director said, “We have had an impressive performance over the past years since we acquired Warid Telecom in May 2013 and rising to a power house of 7.2 Million clients. We have made a decision to lease vehicles from VAELL as we heavily invest in our network expansion all in a bid to ensure clear network coverage and excellent customer service.” He added that the leased vehicles will aid Airtel Uganda to supplement their efforts towards having pocket friendly communication products and services. The leased vehicles will be instrumental in product distribution across Uganda, mostly in remote and rural areas, as well as for responding to clients’ technical needs. Speaking at Airtel Uganda offices along Wampewo Avenue in Kampala Uganda, Anna Asio VAELL Uganda Leasing Manager said, VAELL has invested over Kes. 400, 0000,000 (ugx 13,320,000,000.00) in the Uganda market this year and this investment also demonstrates Vaell confidence in the telecommunications sector as being a market driver in the regional economy over the next decade. Airtel Uganda joins other leading corporates within the E.A region like the Kenyan government and other leading companies that have adopted the vehicle leasing policy and reaping the benefits.